An effective natural homemade flu remedy that works. This Natural Homemade flu remedy is effective for treating any type of Flu. It is made from natural ingredients such as;ginger,garlic,lemon and honey. Natural Homemade Flu remedy is cheap compared to the prescribed flu medicines. It is powerful and has zero artificial additives or preservatives added to it. You make it with the ingredients found in your kitchen pantry. Flu activities often begin to peak during fall and spring seasons . Its outbreak makes everybody worried of acquiring it because it is highly contagious. Even after a flu vaccination you can still get infected. Most people, who get infected by the virus, do recover but unfortunately, some die. Some people experience mild symptoms of flu and are in the low-risk group . They recover from it quicker.Meanwhile, some people belong to the high-risk group. These people often suffer from sever symptoms of flu hence may take longer to recover. Flu is very contagious. You would not wish to have it. Stay at home if you are sick and try to avoid being in contact with other people . This can help reduce its spread to other people. Get enough rest and drink plenty of fluids . Eat a lot of fresh fruits and vegetables to help strengthen your immune system. If you have minor symptoms,then you can start with this natural homemade Flu remedy. 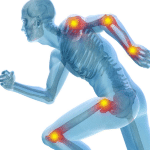 In case your symptoms persist ,seek medical treatment and practice good health practices . You can treat flu using both western and traditional medications. Both forms of treatment can be effective at treating flu . 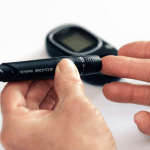 The treatment can vary depending on the severity of your condition. Some natural homemade Flu remedies are equally very effective. They are quicker and handy to make . You will spend little to no money to make them. You can make them at home using fresh ingredients from your kitchen pantry. This remedy has always worked for me.In most cases I don’t have to buy prescription medicine. I have ever experienced relief after the first consumption. The symptoms would go away after a few days of taking it. Some prescription drugs are effective too but most are expensive.Some people cannot afford them. They also have some unpleasant side effects;for instance,most would make you drowsy . It is the reason why I always go for my natural remedies.They have minimal to zero side effects. Whenever I experience any flu-like symptoms, I grab ;Ginger, garlic lemon and honey for my remedy. Why use Ginger,garlic,lemon and Honey? 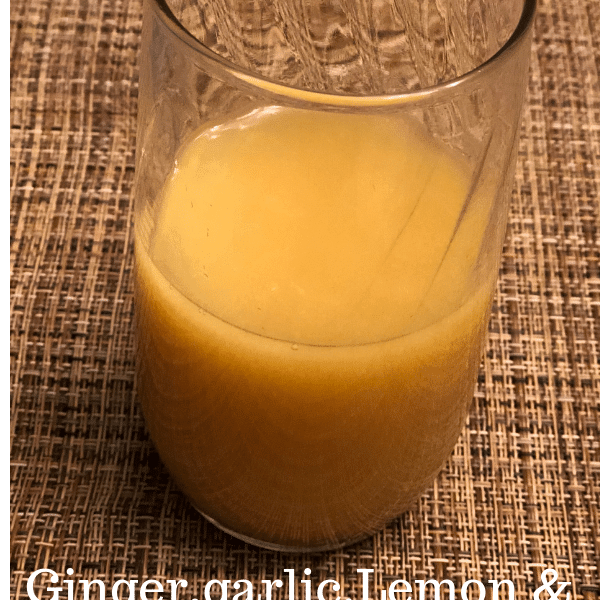 This natural homemade flu remedy is made from the juice extracted from; ginger,garlic and lemon. These ingredients contain vital compounds that can help the body fight infections such as, flu. Ginger has an active ingredient Gingerol which helps to reduce the risk of infections. It is also full of antioxidants ,antiviral and antimicrobial compounds . 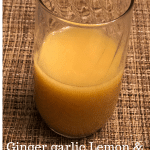 The compounds in ginger can help relieve and prevent flu . Lemons are full of vitamin c and antioxidants which can help boost immunity. They are antibacterial hence can prevent the spread of pathogens that cause infections. Garlic too are essential for improving the immune system. They activates the release of white blood cells which help the body fight infections. Eating garlic often increases the formation of immune cells in the body. Despite the sharp,spicy and strong taste of garlic,they are very healthy. Use garlic in your cooking or add them to your spices to get their benefits. Honey has antibacterial compounds that helps kill bacteria. The compounds in honey can help ease symptoms of flu such as; coughs and cold. Use 100% pure raw honey for this remedy. Raw honey is more potent at treating infections. Mix all these ingredients in their right proportion to get a powerful flu remedy. Add repealed ginger and garlic in your blender. Use a high-speed blender if you can. Remove the paste from the blender after that strain the juice from the ginger garlic paste using a strainer or Muslim clothing. Squeeze one lemon and set aside the juice. 5.Add the lemon juice and two tablespoons of raw honey to the ginger garlic juice. Mix the ingredients until they are well mixed. For adults; take one Tbsp. Every 4-6 hours and for children, give ½ tsp every 4-6 hours. This flu remedy can keep in the refrigerator for at least seven days. Store it in an air tight glass container to stay longer. Do not take this remedy for more than seven days. If symptoms persist, consult your primary physician. Always try to use fresh ingredients for this remedy. By doing so,you will get most of the healing properties of ; ginger, garlic, and lemon. Do not give this remedy to children below the age of one year.